“Uncharted 4 is the first PS4 entry in a series that has traditionally pushed boundaries,” read a recent preview by the website VG247. “Why does it feel so familiar?” Well... as it turns out, they were playing Uncharted 2. Video game websites, like all news outlets, screw things up all the time. Lord knows we have. But this might be the funniest mistake I’ve ever seen in gaming. This would all be well and good except Uncharted 4 was not playable for press at the Tokyo Game Show—VG247’s writer was actually previewing the PS4 version of Uncharted 2, which came out last week as part of the Uncharted Collection. Maybe that’s why they thought the game felt so familiar. 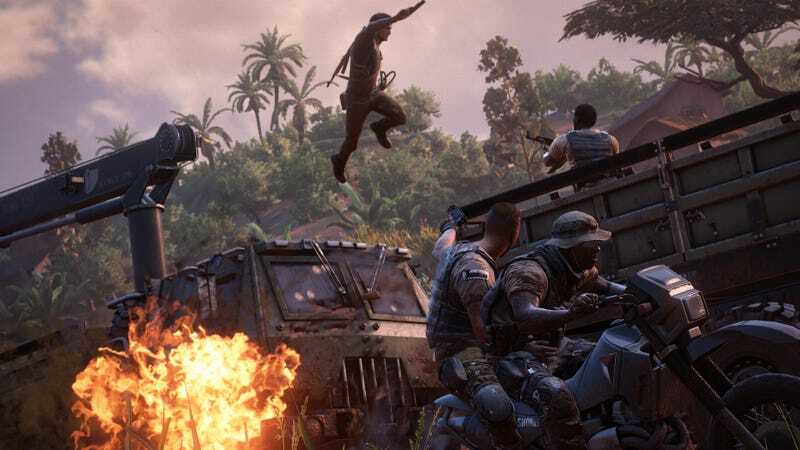 But graphics don’t make the game, and even if Uncharted 4 is the most beautiful thing ever to have happened in the history of video games, it’s not – it’s not new. This is a complaint that has been levelled a lot this generation, I think, that games are just shinier rather than more interesting, and Uncharted may be in for the same critique. Where the first Uncharted games felt like they were blowing the bar sky high, this one just felt like more of the same. Whoops. To VG247’s credit, they sucked it up and did the right thing, publishing an honest apology two weeks later rather than pretending it didn’t happen. We’d like to apologise to Naughty Dog for a massive mistake we published last month. On September 30 we published an article titled “Is Uncharted 4: A Thief’s End too formulaic?” based on what we thought was a hands-on session with Uncharted 4 at the Tokyo Game Show. We didn’t realise it at the time; what we’d played wasn’t Uncharted 4, but the remastered Uncharted 2: Among Thieves, from the recently released Uncharted Collection. We were not aware of this until after the article went live. As soon as Sony notified us of our mistake we immediately unpublished the article as it was clearly based on one massive error on our part. TGS is busy and obviously the majority of signage isn’t in English, but none of that excuses the fact that we seriously fucked up.